الخيار الأفضل للحصول على المتعة والاسترخاء, Seawall Apartments يقع في منطقة Glenelg في أديليد. إن موقعه الجيد الذي يبعد 13 km فقط عن مركز المدينة يساعد النزلاء على الاستمتاع بمعالم المدينة ونشاطاتها. يوفر الفندق بفضل موقعة الجيد وصولاً سهلاً إلى أهم معالم المدينة.
. إن الخدمات الممتازة وحسن الضيافة العالي في Seawall Apartments تجعل إقامتك تجربة لا تنسى. يمكن للنزلاء الاستمتاع بالميزات التالية: واي فاي مجاني في جميع الغرف, خدمة التنظيف يوميًا, مرافق مخصصة لذوي الاحتياجات الخاصة, تخزين الأمتعة, واي فاي في المناطق العامة أثناء إقامتهم في هذا المكان الرائع. لقد جهزت هذه الإقامة الفندقية بعناية فائقة لتوفر مستوى عالي من الراحة. في بعض الغرف يجد النزيل تلفزيون بشاشة مسطحة, اتصال لاسلكي بالإنترنت, اتصال لاسلكي بشبكة الإنترنت (مجاني), حوض الاسترخاء, غرف لغير المدخنين. إن مسار جولف - ضمن 3 كم, صيد السمك, حديقة هو المكان الأمثل في الفندق للاسترخاء وتفريغ طاقتك بعد نهار طويل. يحظى فندق Seawall Apartments بموقع ممتاز وخدمات يصعب منافستها. We loved everything about this accommodation, especially how spacious it was and it's prioximity to the beach. The girl working on the 27th of October was very friendly and helpful. Thank you for the wonderful review, we're glad you enjoyed our spacious apartments and fantastic beachfront location! Great value and nice place to hang out. Much more relaxed that a hotel. Hi Tony, Thanks for the great review, we're glad you enjoyed your stay! Good for having a relaxing barbecue with friends, have a walk on the beach, then stay for a night. 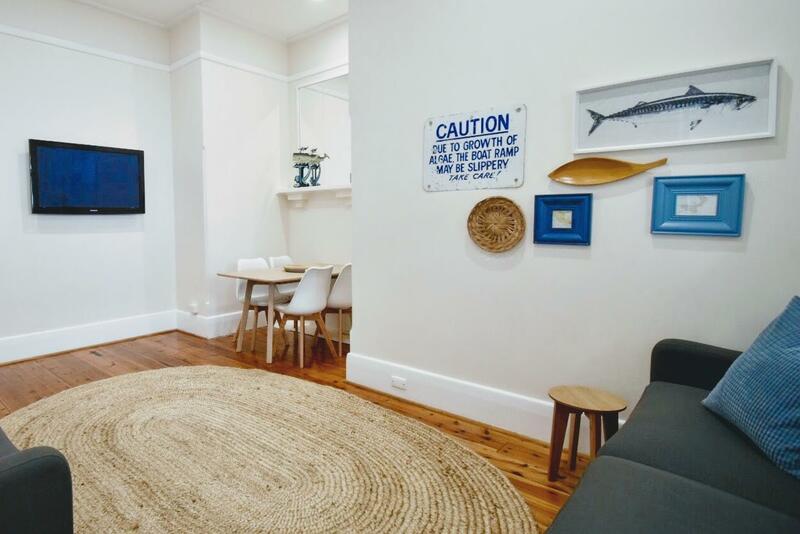 Excellent location, just 2 mins walk to the beach. Close to the airport as well. Late check-in was provided as well. Hi Wing, Thanks for the great review! We're glad to hear you enjoyed our seafront location, and had a great time having a BBQ with friends! Great location - friendly staff. Good amenities, heating/cooling. Our 5 year old enjoyed being by the beach and just a stones throw to great cafes, boutiques and shops. Loved it. Will be back! Hi Joy, Thank you for the fantastic review! We're glad you enjoyed our great beach front location, and it's so handy being just 500m from Jetty Road for shops, cafes & restaurants! We look forward to seeing you back at Seawall next time! This was a weekend getaway with my teenage daughter. We both enjoyed our stay at The Chapel, Seawall Apartments. It is spacious, bright and airy. We loved the courtyard outside our studio. The beachfront location is unbeatable. We enjoyed strolling down the beach or to the shops and restaurants nearby. There is a beachfront cafe a very short stroll away from the apartments called The Boardwalk which was the perfect place to eat and watch the world go by. We will be back! Dear Nor, Thank you for the wonderful review! We're glad to hear you enjoyed your stay in The Chapel apartment. The courtyard is a lovely sunny area, a great spot for a bit of breakfast or lunch. We look forward to seeing you back next time! 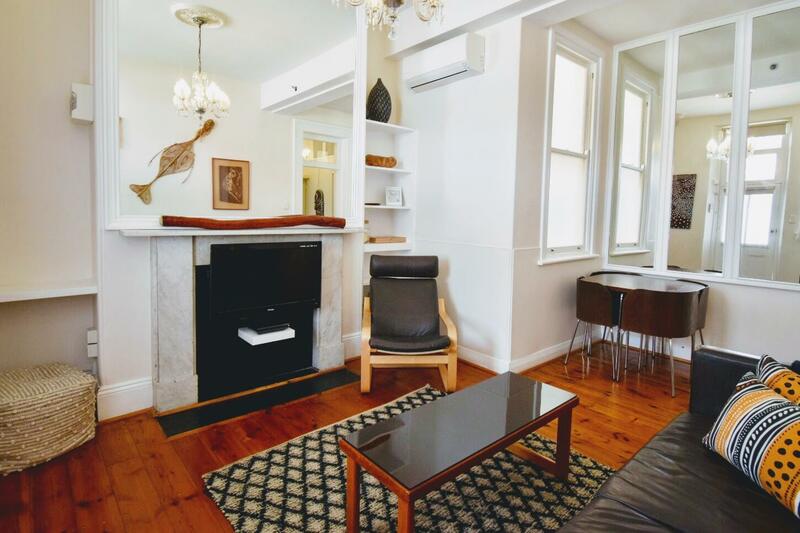 Perfect location in Glenelg, just steps from the beach and close to Moseley Square to catch the Tram in to Adelaide. Staff was incredibly friendly and apartment was clean and well equipped. 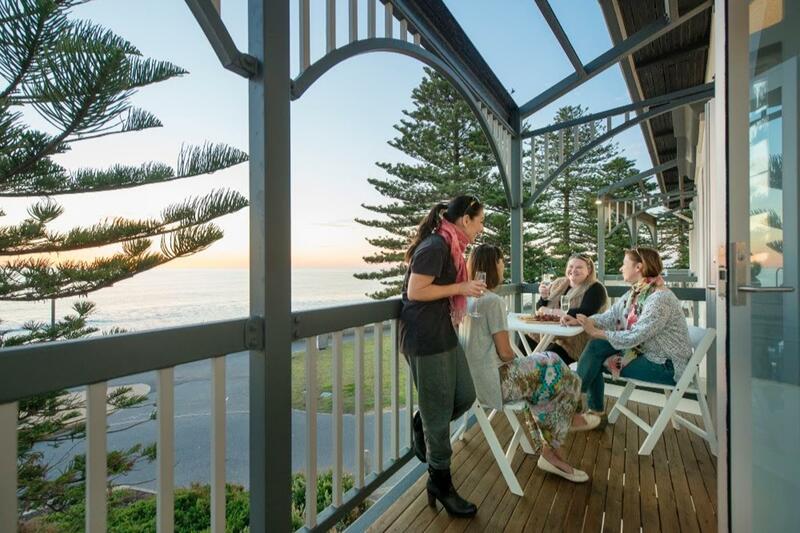 We're glad we could help make your Glenelg holiday a fantastic experience! Thank you for your great review, Lynnette. Thank you for your kind words about the team at Seawall! We loved our time at the Seawall apartments. Lovely room. Great location. Thank you for the great review, Laura. We're so glad to hear you loved your stay! It was my first time staying at Seawall apartments. I turned up 20mins early for check-in which was not an issue, got a free upgrade to an even nicer room, and while I had only booked for 1 night originally not knowing my plans, they were more then happy to have me book for another 2 nights and gave me a discount. I'll be definitely recommending Seawall apartments to my friends, and I look forward to staying there again in the future. Thank you for the fantastic review, John! We do try to be flexible where we can, for check ins and extra nights, we're glad we could help you have a relaxing getaway. We look forward to seeing you back again some time! It is a small service apartment located at seaside. The room is clean and daily cleaning services are good. The owner of the properties is very friendly who makes you feel staying with your friends instead of being at service apartment. I appreciate their sincere answers whenever you have questions. We shall stay again next time. We are glad to hear you enjoyed our lovely beachside location, and friendly approach! We look forward to seeing you back again some time! Location , comfortable beds and pleasant staff. 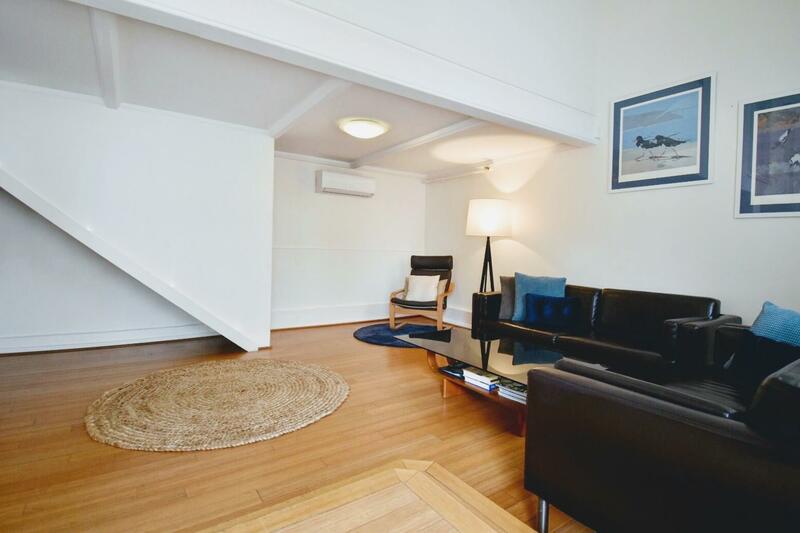 A very quiet and comfortable apartment.An ensuite in the main bedroom would have made the stay perfect. Thank you for your lovely review Julie! 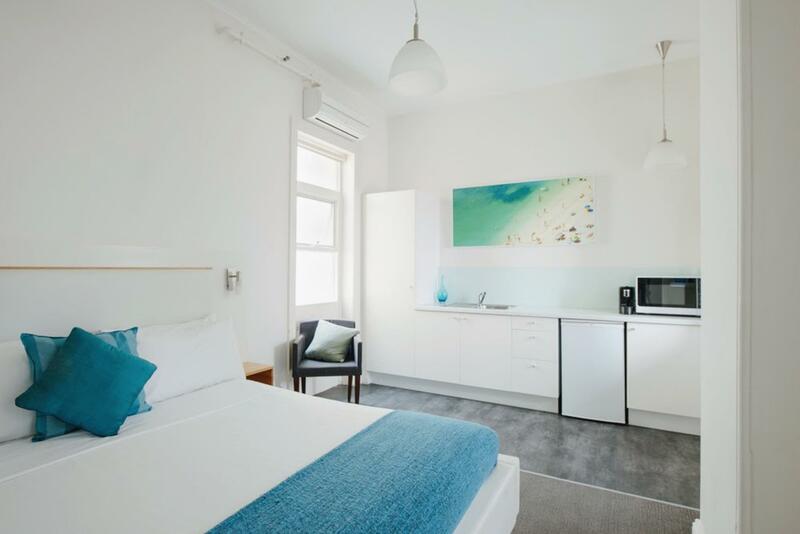 We have since renovated some of our 3 bedroom apartments, so some now have ensuite bathrooms off of the main bedroom. 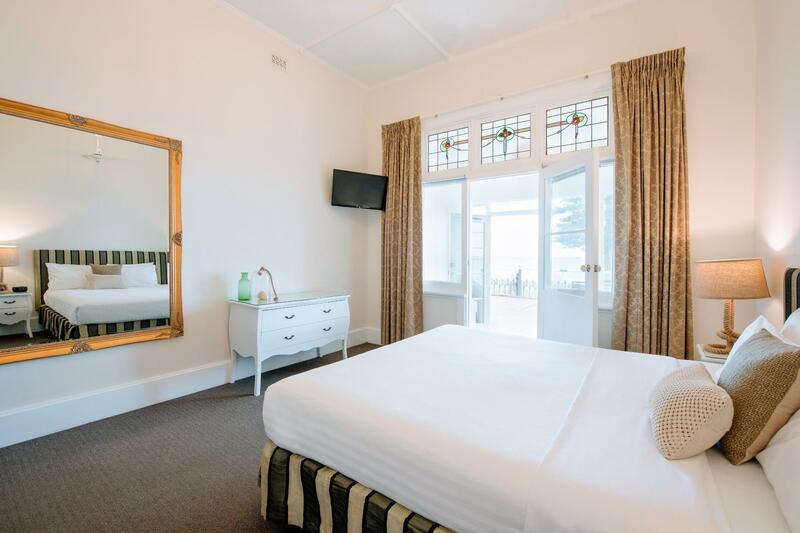 Thank you for your lovely review, we are so lucky to be located right on Glenelg Beach! Thank you for the great review! Hopefully we'll see you back for a longer stay another time! Thank you for the great review Damian, our apartments are certainly more homely, and more comfortable and spacious than a typical hotel room! Location, quiet, and the apartment was clean and comfortable. It was fine, although we were very VERY disappointed to have been promised an ocean view apartment and then to be put in one that had absolutely no view of anything. The Chapel was a nice room and met our needs, but I do think you should ask your guests about their religious views if you put them there, as the crosses and religious plaque could be very upsetting to non-Christians. It should also be noted that the room wasn't accessible to someone in a wheelchair or someone who couldn't climb the spiral stairs to the bedroom. But the location is lovely--both that it is near the beach and it was easy to catch the tram to the city. Great historic home. Friendly informative staff made our stay excellent. This hotel is right on the beach, comfortable and so close to everything that you can park the car and walk. We enjoyed our stay in a comfortable apartment, very clean and well appointed. They provide fresh milk for tea and coffee, plenty of towels and a large fridge. This combined with a warm welcome makes this a good spot to stay. The beach is a stones throw from the door and the walks along the foreshore are amazing. It is a short stroll to the surf life saving club for a well cooked steak eaten looking out at the waves. Cafe Europa has excellent coffee but is not a good choice for tea drinkers. They only offer tea bags in a cup or mug! However just off the main shopping area is a small restaurant, Zest, with yummy food and good pots of tea as well as coffee. Magazines are provided to read to while away the time.